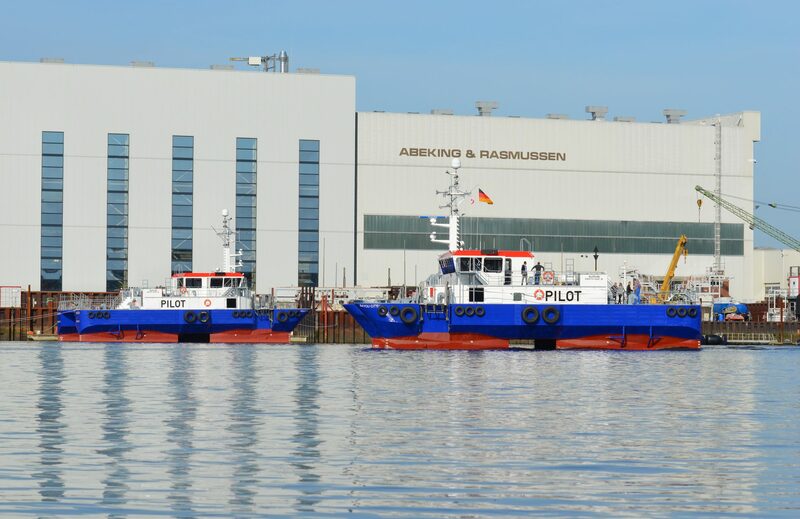 On October 21st, 2017 the next two 25m SWATH@A&R pilot tenders for Houston Pilots have been christened in Texas, USA. Already in September “HOUSTON” and “BAYOU CITY” had arrived on board a heavy cargo vessel in their new homeport Houston and commenced service after extensive trials. They will replace their predecessors of the same names.